Anyone who lives or works in San Antonio knows that very harsh storms make their way through the area on occasion. When that happens, the damage can vary from something minor like a loose shingle to a major issue, such as tree falling on the roof. Whether the damage is from hail, wind, trees, or something else, Transcendent Roofing of San Antonio can assist you. Unfortunately for Texans, this state has one of the highest rates of wind and hail storms. Luckily, Transcendent Roofing of San Antonio can repair any damage from the storms for you and work with your insurance company so you spend as little out of pocket as possible. If there has just been a severe storm in San Antonio and you suspect something is wrong with your roof, contact Transcendent Roofing of San Antonio. Look out for signs like pieces of shingles or even full shingles in unusual locations. Even if you don’t notice any damage from the ground, it doesn’t hurt to have us take a look at your roof following a severe storm. Remember that in a lot of cases, the untrained eye won’t be able to spot issues our trained professionals can, and you definitely can’t spot the problems from the ground. The first thing we will do when we get to your property for storm damage repairs is to assess the structure. We will likely ask you if you have noticed anything that led you to call or you just contacted us as a precautionary measure as your observations can guide us towards the area with the most damage. Whether or not you noticed anything, we will thoroughly inspect the entire roof to check for storm damage. During our assessment of storm damage, we will look for specific issues, such as a shingle (or the tab) or entire section of them missing. This is frequently caused by storms and homeowners aren’t likely to notice it unless they climb on the roof or see the shingle. Essentially, the wind will lift the shingle up from underneath. If you contact us after a hail storm, we will check for impact points created by the hail. A simple impact point isn’t a problem, but if the shingles on the roof are aging, we will be able to tell that they may not survive a similar storm. To take care of the storm damage to your roof, Transcendent Roofing of San Antonio has a range of methods up our sleeves. When possible, we will simply repair the affected areas of the structure. At times, however, we may suggest that you replace the entire roof. This will likely be our recommendation in cases when the roof is aging or shows excessive signs of wear. 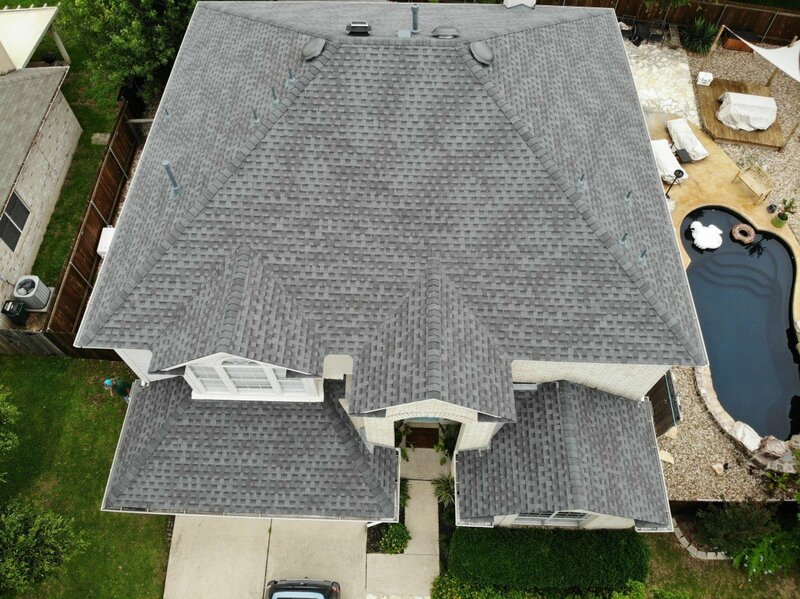 You always have the choice of whether you want us to repair only the affected area or replace the entire roof, but remember that our suggestions are based on years of experience dealing with roofs and San Antonio weather.